When a spark from the past shakes up Jamie's present, will he follow his heart or society's expectations"Being best friends in high school, Kevin and Jamie's emotional attachment and feeling for each other are abrutptly cut short by Kevin's departure to Australia with his mother. Fast-forward a dozen years later: Jamie tracks down Kevin in Australia. The reunion with his best friend reminds Kevin-suffering from depression-of his youthful ambitions, so he decides to return to Hong Kong, Jamies, however, enjoying a steady relationship with his girlfriend, finds his feelings for Kevin reawakened and growing stronger. Inevitably, Jamie must make a choice between society's expectations or following his heart. Guaranteed to ship today if ordered within the next 4 hours and 56 minutes. "I MISS YOU WHEN I SEE YOU"
Director Simon Chung gives us an intimate examination of what it means to be gay in Hong Kong. Jamie (Bryant Mak) is reacquainted with his old classmate, Kevin (Jun Li), after a long time, and while their feelings for each return in subtle, suppressed ways, it is almost as if they are dealing with their shared past that is marked by disappointment and regret. Jamie who already has a girlfriend whom he is serious about, finds it difficult not to help his old buddy-lover who's suffering from depression. Chung's work uses the themes of depression and homosexuality and treats them the same. Through Kevin, we see a man who is numb to life and isolated within himself. He cannot feel anything, not even an impulse, but Jamie's presence does help him to find a manifestation of hope. Jamie has his fair share of bad memories and now seeing Kevin again, his heart changes a bit. Chung's film is real and authentic yet it really does not offer closure. Resolution comes at the very end of the film. Because of the emotional ambiguity of the characters, the film is certainly interesting. Having been best friends in high school, Kevin and Jamie's emotional attachment and feelings for each other were cut short by Kevin's moving to Australia with his mother. Now 12 years later: Jamie tracks down Kevin in Australia. The reunion with his best friend reminds Kevin of his youthful ambitions. He suffers from depression so he decides to return to Hong Kong. Jamie is involved in a relationship with his girlfriend, yet his feelings for Kevin are reawakened and growing stronger. Jamie will have to make a choice between society's expectations or following his feelings. When the two were two classmates who secretly like each other very much , they were not able to act upon their feelings in conservative Hong Kong. It remains a cautious first kiss, after which Kevin leaves for Australia with his family. Kevin travels to Australia, finds a job and learns that Jamie has a girlfriend. Kevin's sexuality is an established fact while Jamie has been in the closet for so long that he does not notice it. There is hardly anything explained, the pace is low and we make jumps in time. If Kevin and Jamie hadn't reconnected, their lives would probably be very different, yet they would not have realized what they had missed. Hong Kong seems to be a tolerant international city, and there are few cases of overt homophobia. Homosexuals can live a comfortable life within their bubble, as long as they remain socially invisible. 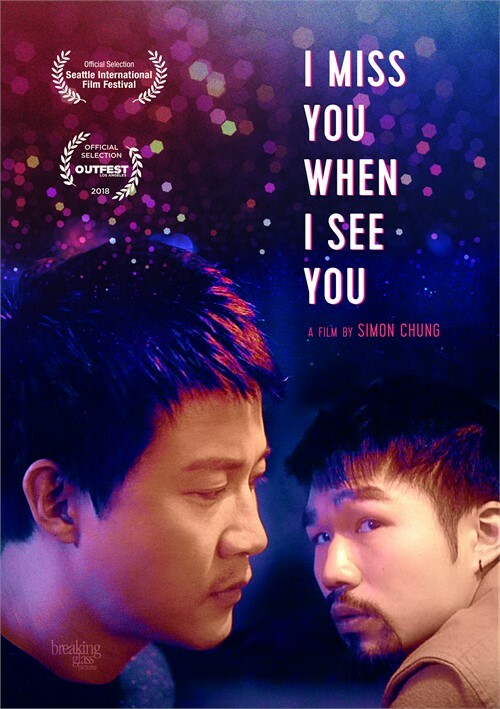 This film explores what it means to be gay in Hong Kong through the stories of two characters who wrestle with their outsider status in very different ways, and in the end they must choose whether to follow what society dictates or their own feelings.